2016 - Page 2 of 20 - Marketing & Brand Strategy. Steve Poppe, Founder. Name, Logo, Tagline and Package. After product, the most important elements of a brand are the name, logo and tagline. For consumer products package is also crazy important. It’s ironic that most of these elements are developed without a brand strategy to guide them. Defined as an organizing principle for product , experience and messaging, a brand strategy can supercharge a product or service if developed before the name, logo, tagline and package. But typically, the process is bass-ackwards. The Amerinds got this right in the naming of their brethren and sister-ren: Crazy Horse, Sleeps in Woods, Antelope Runner all reflect a persona or quality. Strategy first. Today, sans, strategy and sans big startup R&D budget, many companies name products much as they name their children. Lots of effort, good likeability, no strategy. Brand strategy development is easier for products and services that have been around a long time. There’s something to study. It’s hard early on when a “marketable” is in the development stage. What’s The Idea? was a strategy before a service. It works the hard way. Microsoft Needs to Let LinkedIn Percolate. We’ve seen this movie before. In 10 years LinkedIn may be replaced by the “next thing.” Perhaps Snapchat meets NetPromoter? Or Salesforce Cubed. Microsoft needs to see beyond the dashboard and allow LinkedIn enough rope to invent the next frontier of business networking. Come on Mr. Nadella have some patience. Observe, learn, then observe some more. It was a good purchase. Let it percolate. I worked on a branding assignment a number of years ago for Hospice Care Network. It was fascinating. End of life is not something many younger people are familiar with. One of the behavioral problems facing hospice providers is denial. Hospice care is best meted out 6 months before passing, yet most cases get to hospice 3 weeks before (anecdotal data.) Denial is what we’re facing today when it comes to dealing with the advanced aged. End of life, especially form a gerontology perspective, is hidden. The elderly are cared for by family caregivers or in nursing homes. I believe there’s a massive business opportunity to develop technology applications to improve the lives of the elderly and I challenge marketers and technologists to think about it. Let’s call app the Last 5 Years. Here’s what the app/device/rigor needs to accomplish. It need to encourage ambulation which, in turn, will help circulation. It needs to assist the aged with balance. It needs to work to delay cognitive loss. Pain management will be needed, as will home help and general entertainment. One could argue these things are available in a nursing home. But the fact is, many “Last 5 Year” candidates don’t leave their rooms. They wait for meals between TV shows. Let’s tackle this. And let’s start now. Tweet me y9our ideas @spoppe. 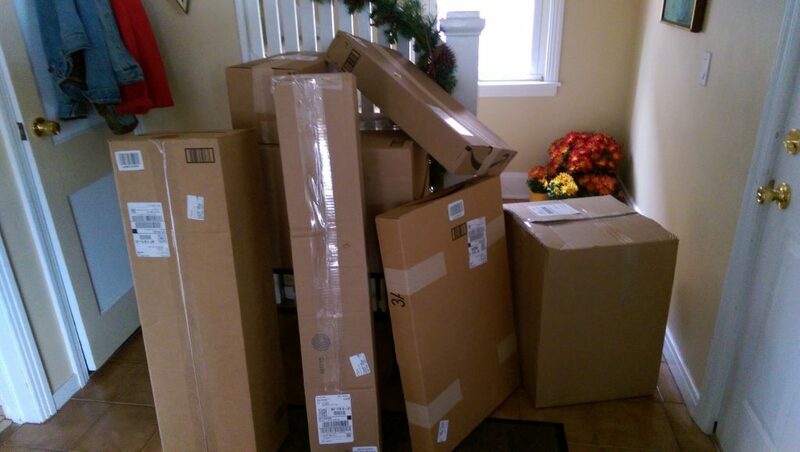 All these random deliveries eat up a great deal of gas. Not to mention manpower. Each package has a tracking code and delivery address. One piece of software and some colocation warehousing will cut delivery costs down to the bone. This is a job for Amazon, Uber, UPS or an EPA code nerd (after Scott Pruitt leaves his appointment). The 4Ps of marketing are Product, Place, Price and Promotion. If we can get the Place right over the next few years it will positively impact the environment, price of goods and even U.S. manufacturing. Every brand planner has his or her own toolkit. But basically they drop themselves into a category or brand space and learns. They understand the product, competition, care-abouts and functions. If they’re smart they also try to understand the business and finances. A dive into the culture of the buying is important. And learning the language of the category is not underrated. After all information is amassed, balanced by some qualitative data, it’s time to put paper to pencil. Or finger to keyboard. This is where the good brand planners separate from the not so. My key tool is the brief. Many brand planner use a brief to create strategy…or a fill in the box template. Same thing. The real key in crafting a brief is the “boil down.” The boil down removes all non-essential information gathered during discovery. I call it the boil down because it riffs on the metaphor of the stock pot. Fill up the stock pot and boil it down to a very rich bullion at the bottom. At What’s The Idea?, a brand strategy is one claim, three proof planks. This is the organizing principle for brand strategy. Four things. That’s a lot of boiling. Innovation in product and service marketing has redistributed wealth for ages. Yet one area where innovation has completely stagnated is messaging. The ads and sales copy developed in the 1880s by Lord and Thomas are the same as today. Words like “sale, quality, buy, and new” were commonly used then and now. Why can’t we innovate the message? Sure, we can sing it, animate it, give it life with video. And tomorrow we’ll add more dimension and experiential verve with virtual reality. But the real innovation in messaging will not be in copy, art or delivery but in how we craft behavioral cognition. Rather than tell someone what to do, we need to help them conclude they want to do it. Make if feel more like their choice. Facilitate and stimulate the behavior. The old AIDA principle of selling: awareness, interest, desire and action is still a valid construct. Yet most messaging today concerns itself only with the last step action. Innovations like Twitch Point Planning and other customer journey approaches account for all steps to a sale. Let’s court our consumers appropriately. The unbeknownst. Never seen. Unheard of. I write a lot of sales training stuff for one client. The company does a good deal of cold call intercepts at stores such as BJs and Costco. As someone who never really did any direct product selling – ads and brand strategy don’t count – I needed to get out of my comfort zone and into the selling zone. It took some time — but looking fast-moving custies in the eyes and learning how to “pitch” by trial an error, was quite a learning experience. David Ogilvy would have been proud. First there is the approach — customers walking toward you. Then the engage, getting them to slow, stop and talk. Then the position and sell. And finally the close…get the fish off the hook and into the boat. One tenet I’ve long believed in that works across all these sales steps is “education.” All people like to learn. They may not like sitting in a class room, but there isn’t a brain on the planet that doesn’t want a little stim. A little new information. We are curious animals. So, all you salespeople out there, subscribe to the unbeknownst, the never seen, and the inheard of. Yesterday I posted about brand compliance. Today it’s about the next step, brand leavening. With a strong brand strategy (one claim, three proof planks) and a smart CEO or brand compliance office to push the strategy, leavening of the brand idea can occur. As the understanding of the brand idea and planks grow within a company, life all around becomes easier. Everyone knows what they are doing and why. When a brand strategy is practiced throughout a company a more collegial feeling grows among employees. Why is it that a 4-year college grad roots for his/her college sports team(s) for decades, while an employee of 6 years may not give second thought? There’s a fealty to colleges that many companies can’t duplicate. A leavening takes place at college. A purposeful commitment. Companies and brands with well=leavened brand strategies engender loyalty. It’s how one enculturates an organization. Tink about it as my Norwegian Aunt would have said. 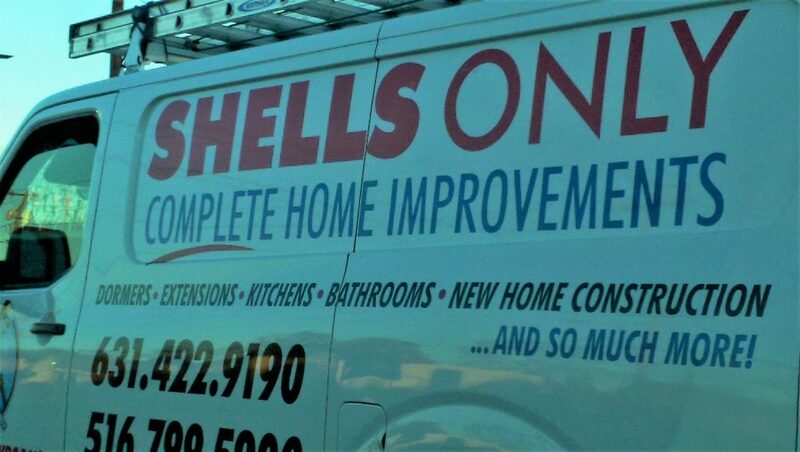 As memorable as the Shells Only name is, it doesn’t step up to the Is-Does test. The best names provides a clear picture of what the product or service Is and hopefully a view into what it Does. When you keep a legacy name around that only partly defines the business, especially if the name doesn’t account a large part of total revenue, it’s no longer a good name. Name specificity is not an under-rated quality in consumer marketing. Compliance is a medical term with huge impact on patient outcomes. Patients who comply with prescription drug plans, treatment modalities and lifestyle changes live healthier lives. Compliance is also a word that comes up in brand strategy discussions. Brand strategy, an organizing principle for product, experience and messaging, guides commerce in very predicable ways. And if compliance is high, success is high. How does a company insure brand strategy compliance? One way is to install a Brand Compliance Office. Typically, this function would lie with the Chief Marketing Officer. But the realities of managing revenue growth, marketing spend, staff and profit don’t really allow time for compliance. The title of brand manager might suggest someone who looks after compliance, but they don’t wield the power. It a “herding cats” type of job. And some cats are way up the corporate ladder. A Brand Compliance Officer needn’t be a 6 figure job but it’s an important job. Appointing someone to watch over internal stakeholders and make them comply with the plan is a sure-fire way of strengthening brand, sales and margin.